Helping people regain safety, confidence and independence in travel is a key component of our services because a full and active life depends on it. Orientation and Mobility Instructors provide participants with individualized lessons that show them how to properly use a cane for maximum effectiveness. 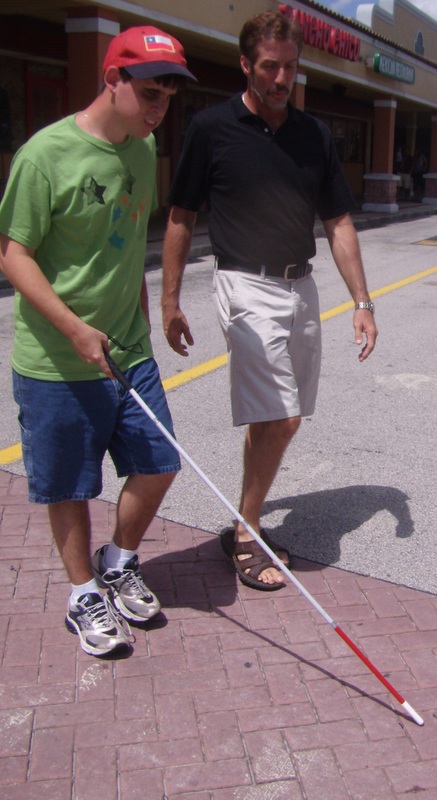 Training can include detecting obstacles, maintaining a desirable path, memorizing routes, identifying cues about their surroundings using their remaining senses, handing stairs and entrances, navigating both indoors and outdoors, crossing streets safely and using public transportation. It isn’t easy to move about the world when one can’t see, but with the proper guidance and timing, it is immensely rewarding and liberating when people can get to where they need to go without depending on others.